Last year, the ecommerce market in the UK grew to £137.38 billion, while online purchases evolved to account for 16% of all sales during the same period. This has also triggered a huge rise in the demand for courier services and independent comparison sites like Parcel2Go, as people look to rely on third-party providers to deliver their goods safely and in a time-effective manner. The issue is that just one-in-three of us received goods as planned last year, with lengthy delays, damaged products and a lack of communication causing huge concerns for customers. For small deliveries, it’s not uncommon for people to have products delivered under their mat. This only really works for small and thin parcels, however, but one courier in the UK found a unique way around this logistical issue. 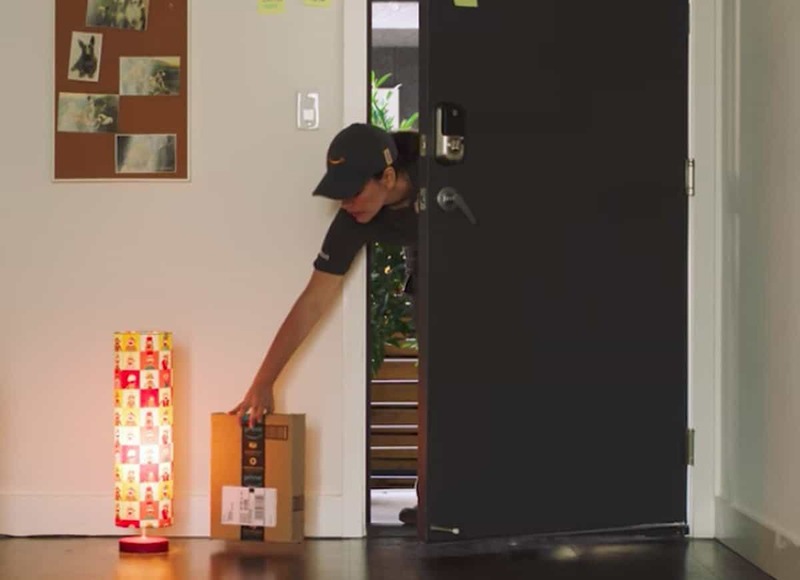 In fact, he rested a huge, six-foot tall parcel vertically against the buyer’s outside wall, before thoughtfully placing the welcome mat on top of the package! In one fell swoop, he had managed to fulfil the requirement of placing the parcel under a mat, although as you can imagine he did an awful job of hiding the package from public view! If you’re not in to collect for a delivery or have failed to specify a safe place to the courier, most delivery drivers will probably try to leave this in the capable hands of a neighbour. Some take a slightly different approach, however, as they instead scramble around in your front yard looking for any location that offers a degree of shade or shelter. As a result, it’s not uncommon to come home and find your parcel wedged in the middle of a bush, with the package placed in a manner that suggests it may have been thrown from the delivery van. This is hardly ideal, and we just hope for your sake that your parcel is not left in a thorn or rosebush. Critics of consumerism may say that most of the items that we buy will end up in the bin, but not before we’ve even unwrapped the parcel! Still, some couriers have been known to leave parcels in an outside bin on your premises, and in some instances this is fine if you’ve asked the firm to leave the package with your recycling. It’s a different matter if a parcel is left in the household waste bin, however, as this make extracting it an extremely messy pastime. You wouldn’t want the parcel to be delivered on bin day either, as this could see your package end up on a landfill site way ahead of schedule.